The Arts Asylum serves as a "home" to several artists, creatives and performers in the Kansas City area. Offering both studio spaces, galleries, event spaces, and collaborative work areas for artists. Learn more about our resident artists and partners. The Arts Asylum was created to provide space and assistance to artists of all varieties. This is primarily accomplished through the offering of space to both create and share at affordable rates. The Arts Asylum also offers the staff and planning necessary to execute all necessary tasks so that artists may focus on creation instead of administration. 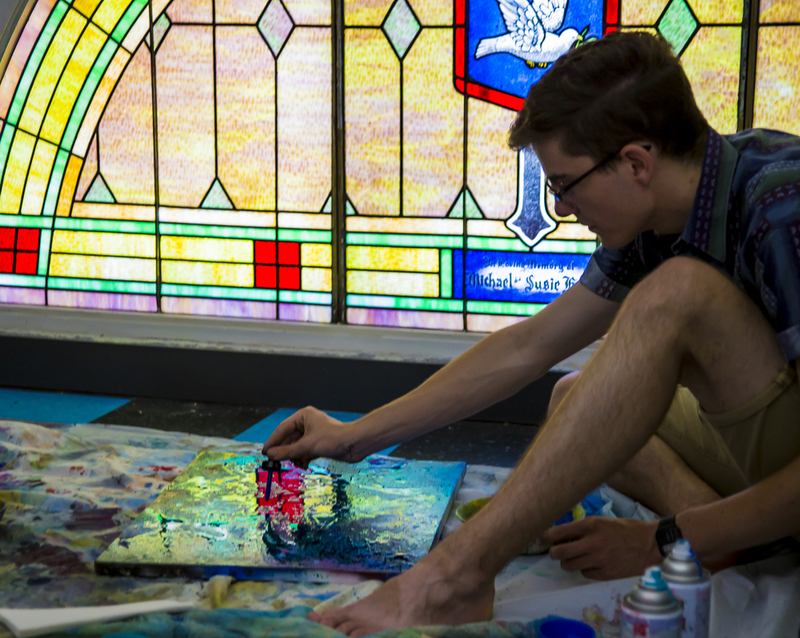 As an example, The Arts Asylum will host quarterly art events to showcase resident artists, and executes one large fundraising event per year to help provide new and better amenities to artists of the community. 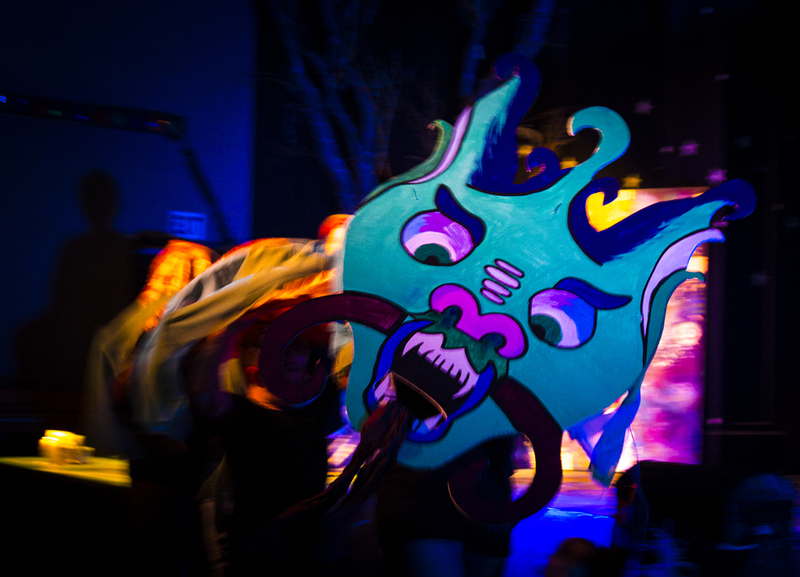 In addition to assisting their residents, The Arts Asylum has been home to several community arts events including the fashion show for the annual Kansas City Fringe Festival. Their space has also been utilized by theater companies for reversals, music showcases, arts lectures and other events the serve the community. Together with the help of the Kansas City arts community, The Arts Asylum hopes to enrich downtown and the Kansas City arts community as a whole with a new arts space. Available for theatrical productions, music events, art shows, and private events. Available for classes, studio work, small meetings or gatherings, and presentations. or call (816) 301-7444 to reserve any of our spaces and for additional info. The Arts Asylum was created to provide space and assistance to artists of all varieties. This is accomplished through the offering of gallery space to both create and share at affordable rates, studios for artists, the James and Marjorie Theater for live performances and events, and ongoing programming, and assistance from our team. The Arts Asylum opened its doors in June 2012. Over the course of four years, we have partnered with more than twenty organizations, hosted 100+ events, and have had artists of all backgrounds work, share and create in our building. In addition, The Arts Asylum also hosts off-site events to highlight our artists. The Arts Asylum welcomes artists and creatives of all mediums, expertise and backgrounds. With 25+ studio spaces, 1 co-Lab, 1 theater, and multiple programs...there are many ways to get committed. From theater performances to gallery showcases, charity events, artist programs, and more! Want to host, partner or get more details on an upcoming event at The Arts Asylum?